Of course, every company claims they have the best features and hardware when it comes to telematics and e-logs, but you need to look for what’s best for you and your business in the long run. So what should you look for when choosing your telematics and e-log provider? Is the solution FMCSA Compliant? If not, stop looking. Without being compliant with the standards set out by the FMCSA, even with an e-log solution you could still be at risk of fines. 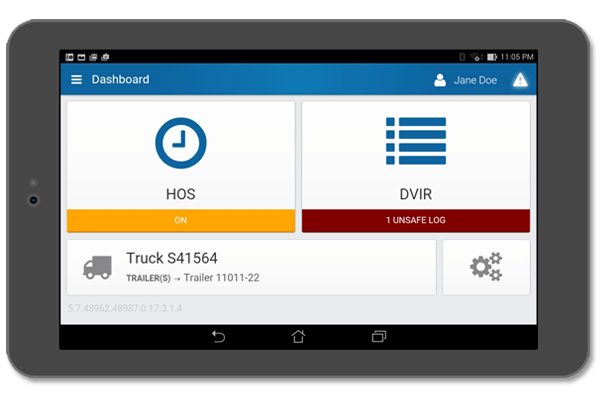 It hasn’t even been a year since the FMCSA released the final rule, and since then there has been a ton of new companies popping up offering ELD solutions. Even before getting into the features of the solution, take a look at the supplier’s experience and expertise with the FMCSA and ELDs. As you know, the Commercial Vehicle industry deals with constantly evolving and changing regulations. It’s crucial your future supplier is comfortable with the industry to easily manage constant changes and updates, without any downtime. It’s also important the ELD equipment/software you have invested in will allow for easy updates to stay on par with any new regulations or changes, and in order to grow along with your business. You want to work with a company that will be a long-term fit, and that usually means being able to adapt and integrate with other technologies as necessary. Does the supplier allow for 3rd party apps to be connected? With an open platform you can easily integrate all your solutions, whether that be dispatching, accounting, or anything else, into an all-in-one solution platform for easier access and management. The FMCSA regulations are different in oil field operations, in Canada and in Alaska. If your business also operates in these areas, ensure your supplier is able to meet those requirements to prevent downtime and keep your business in compliance.